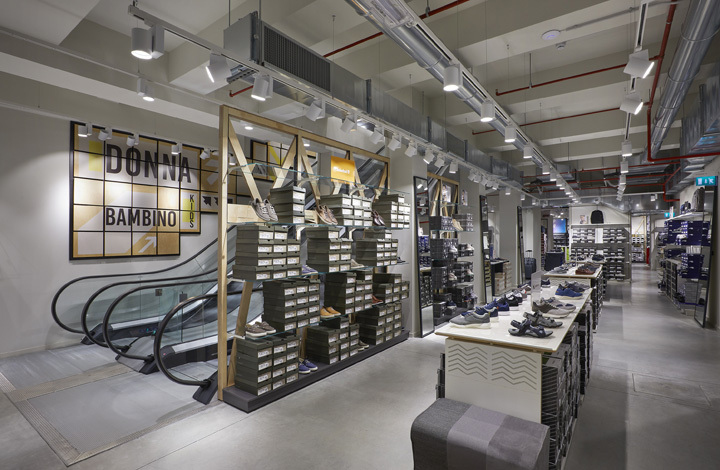 Specializing in retailing footwear and clothing for the whole family, "Scarpe & Scarpe" has been a successful Italian brand for over 40 years. 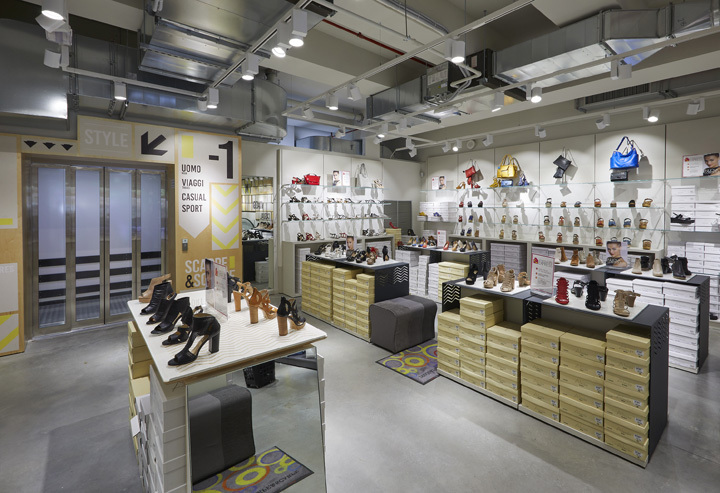 Thanks to a strong brand identity, effective business strategies and accurate format planning, "Scarpe & Scarpe" is a well-established and successful company with 130 stores all over Italy. 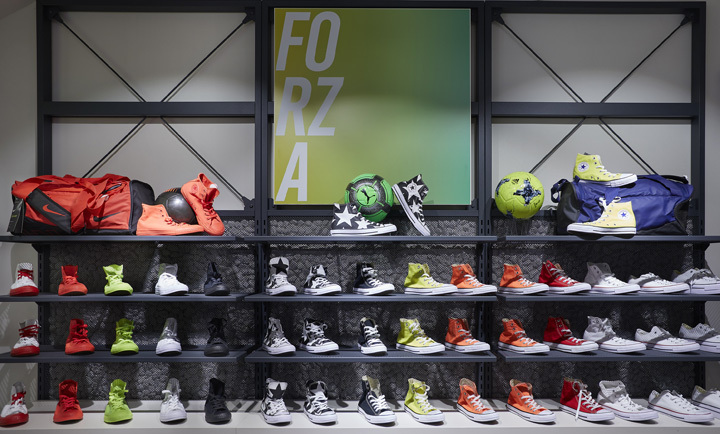 By opening a new shop on via Lagrange, the central street in Turin just a few steps from Porta Nuova Central Station, this successful Italian brand is implementing its renewed expansion plan. 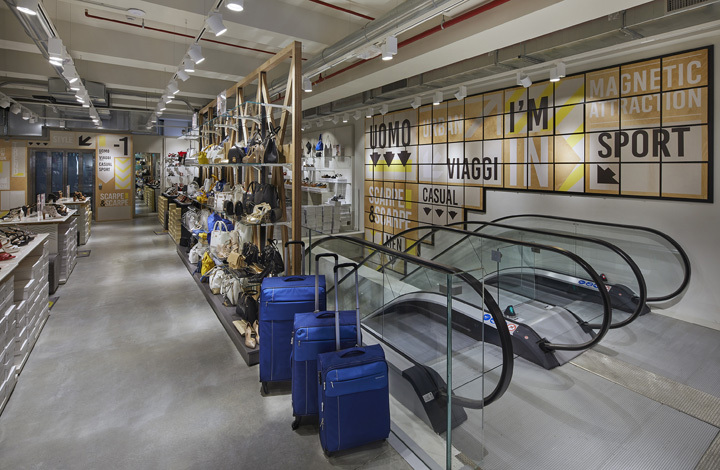 Grottini Retail Environments and "Scarpe & Scarpe" are back together to renew the look of this brand for the occasion of the shop opening in Turin, thus implementing a retail brand strategy change. 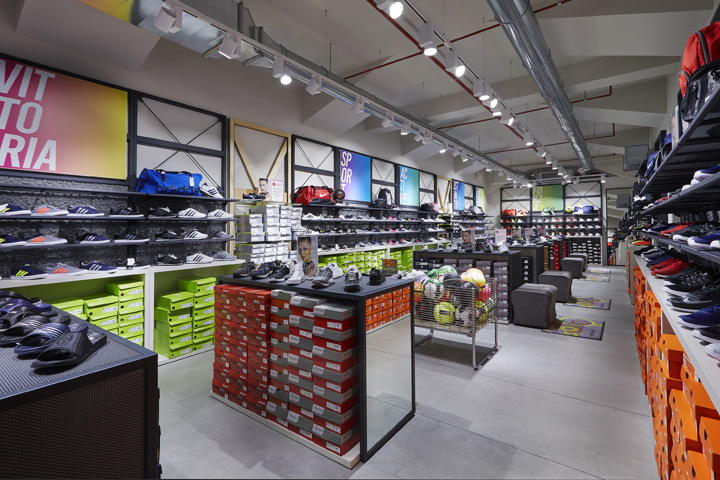 The store is spread out over 800 square meters and offers over 6,400 items. 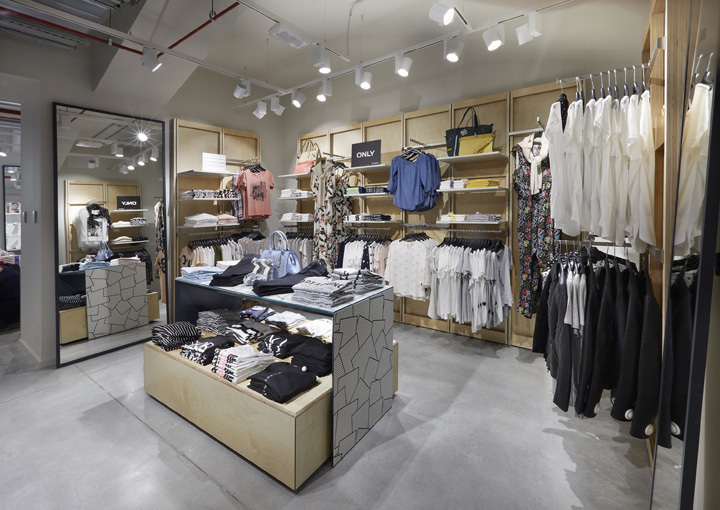 The format focuses on a linear design to give the environments a harmonious look & feel, thus highlighting the products. 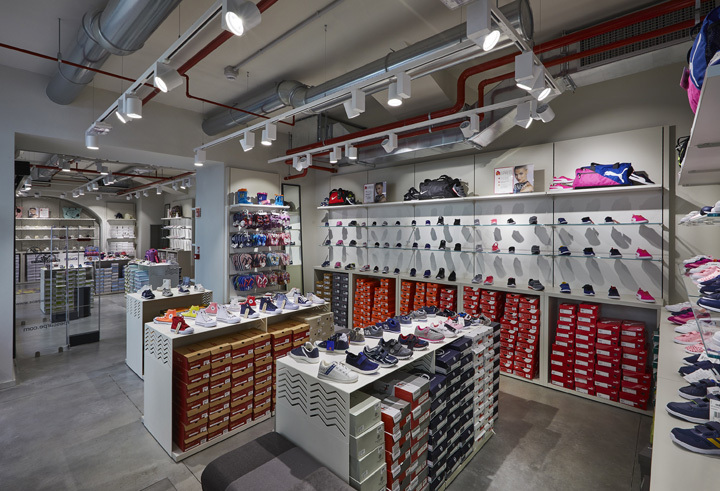 The choice of colors and materials also respects the simple design: concrete floors, walls and ceilings in different shades of gray and birch layers that create interruptions to highlight the collections. 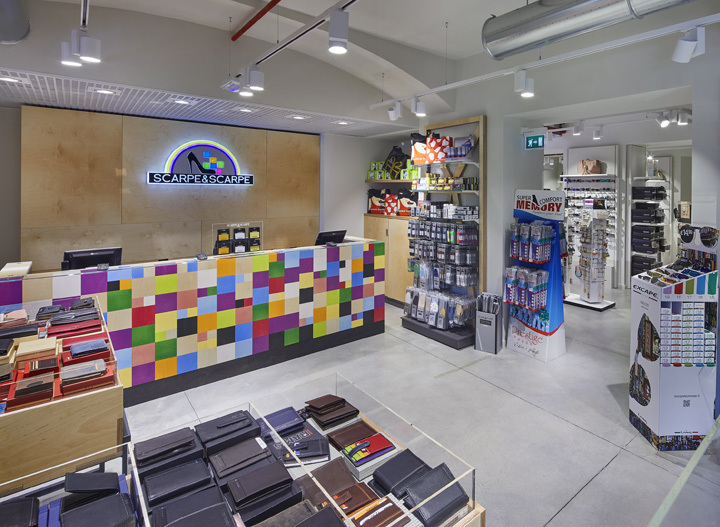 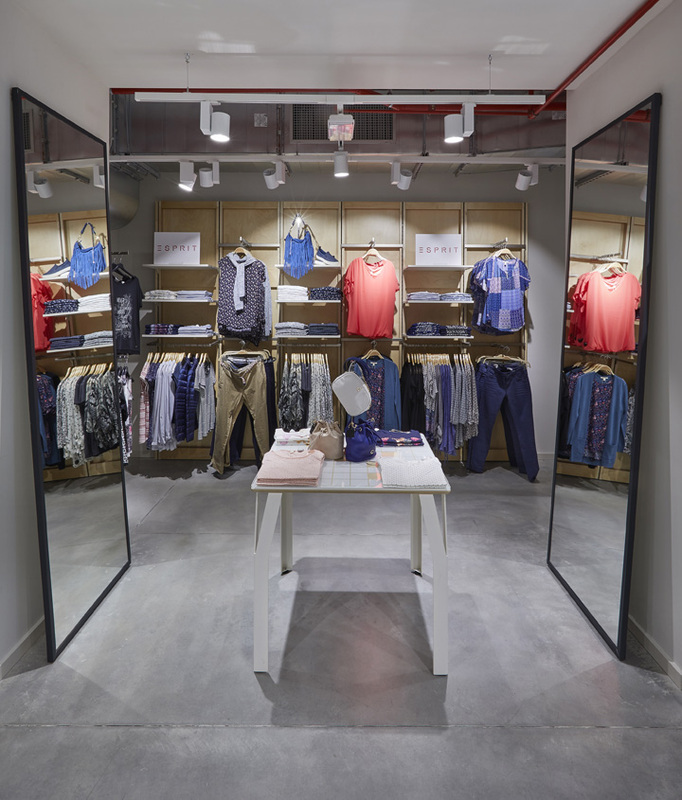 There are only two wall elements which blend with the architectural finishes of the store, thus respecting the clean and essential design chosen by the company.